Shopping online has gone from a novelty experience to something most people do at least once every year. Online retailers are making websites faster and easier to use especially during the busy holiday season. Families can benefit financially from online retailers. 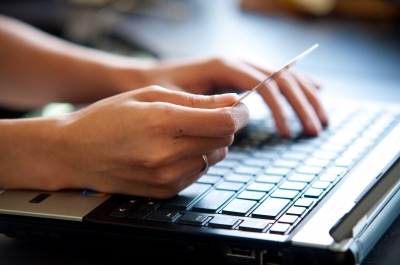 Retailers selling items online have lower overhead costs. The lower overhead often results in decreased prices and additional discounts on online purchases. A large number of products online can be found for lower-than-average retail costs. Online retailers are also more willing to provide extra discounts that can save the family money on every purchase. Driving to a brick-and-mortar storefront requires gas money, crowd surfing and a giant headache in the process. Shopping online can solve so many of those issues because in today’s world it is fully streamlined. You will be able to save precious hours and all that wear and tear that would have been on your car. Online retailers do not need to limit what items are available based on shelf space. The website provides unlimited space to advertise and sell products. Families will be able to find a wider selection of brands and products among a variety of niches. So when you visit online stores like simpletire.com, they will have a wider selection. This makes it so families can save money by buying a lesser-known brand or a non-traditional product with ease. Families doing shopping for friends or relatives in other cities or states can save money on shipping by going online. The cost of shipping to a gift recipient directly from an online retailer is usually less than repackaging an item and mailing it from home. It also takes far less time to enter multiple gift addresses through an online retailer than to hand address all the packages. Shopping in a storefront can lead to purchases of ineffective or incorrect items based on the marketing on the shelf. Shopping online often provides access to reviews from experts or other consumers that can save them money directly by steering them in the right direction from the get go. Families should always take the time to look for items online before making a purchase in a brick-and-mortar retailer. Many websites today are easily accessible from mobile devices. Checking online first will ensure the family gets the best price possible. This article was written by Hannah Whittenly with help from Simple Tire. Hannah Whittenly is a freelance writer from Sacramento, California. A mother of two, Hannah enjoys writing on blogs of all niches. Follow her on Twitter. I want to shop online but I’m anxious whether it will be delivered or not. And mostly, the arrival of your purchased item is within 2-5 days. I can’t wait that long. So I still prefer shopping in physical stores. Online shopping has its proponents. I myself don’t shop online much. Because like you, I also enjoy shopping in brick-and-mortar stores. Then again, online shopping can be beneficial, especially if you can’t go to a store in person to pick up your items. You just have to know how to protect yourself when shopping online.